The ABP recognizes Dr. Garber as one of the founders and the current medical director of the Value in Inpatient Pediatrics (VIP) Network, originally a grass-roots group for hospital medicine that is now part of the Quality Improvement Innovation Networks (QuIIN) at the American Academy of Pediatrics (AAP). Hospitalists in the network strive to improve hospital-based care for children, especially at small community hospitals and at children’s hospitals located within adult hospitals. “We are delighted that Dr. Garber will be able to share with the ABP the insights he has gained as he has ignited and expanded the commitment to quality improvement, especially in community settings,” said Virginia Moyer, MD, MPH, Vice President, Maintenance of Certification and Quality at the ABP. In the early years of VIP, Dr. Garber co-led BQIP, the Bronchiolitis Quality Improvement Collaborative, with Shawn Ralston, MD, MA, now editor of Hospital Pediatrics. During his four years of network leadership, the VIP Network has grown to include projects about urinary tract infection, community acquired pneumonia, bronchiolitis with an ED and hospital focus, and fever in infants. Dr. Garber continues to mentor, encourage and inspire younger physicians interested in quality improvement because he strongly believes in the need to engage all pediatric hospitalists in quality improvement work and has continued to ensure that hospitalists in community and academic settings are included in the collaboratives. In addition to his work as a professor, hospitalist, and VIP Network medical director, Dr. Garber has published more than 50 peer-reviewed articles and has given more than 10 national presentations on pediatric hospital medicine and quality improvement. He serves as chair-elect for the AAP Section on Hospital Medicine and section editor for the “Bending the Value Curve” commentary series in Hospital Pediatrics. 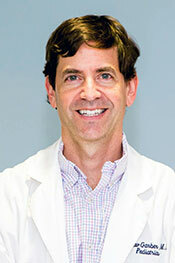 Other awards won by Dr. Garber include the 2016 Frank P. Boyer Faculty Teaching Award, the 2015 Society of Hospital Medicine Choosing Wisely national competition, the President’s Award of the South Carolina Chapter of the American Academy of Pediatrics in 2008, and the John P. Matthews Jr. MD Outstanding Teaching Award in 2002 and 2007. Dr. Garber earned his medical degree from the University of South Florida College of Medicine, Jacksonville, in 1994 and completed his pediatrics residency at South Carolina’s Richland Memorial Hospital (now Palmetto Health Richland) in 1997. He subsequently trained in 2014 as an Ultrasound Fellow at the University of South Carolina School of Medicine. He became certified in General Pediatrics by the American Board of Pediatrics in 1997 and continues to meet the requirements for Maintenance of Certification. As a PVM Fellowship Award winner, Dr. Garber will receive an invitation to come to Chapel Hill, N.C., to share his ideas, innovations and enthusiasm for quality improvement with the ABP staff. He also will be invited to present Pediatric Grand Rounds at both the University of North Carolina and Duke University medical schools.